Sometimes ago I read an article that highlighted Nigeria's most powerful women in the tech industry and I really wasn't happy with list I saw and that led me into doing some research and findings. The truth is there are many Nigerian women with great minds in the tech world but some are just extraordinary. For the sake of clarity we shouldn't mistake bloggers as stakeholders in the tech industry, that's why I am not going to feature one of Africa's most influential bloggers on this list. When you take a look at this list of women doing wonderfully well in the African Tech industry, you will notice they have bridged the cap between what the men can do and what they can do. These are women who can code from scratch, women who have built tech startups from the scratch to fortunes. We can no longer track the number of techpreneurs, web designers, app developers etc we have in Africa. Though I have noticed these women haven't been given the required recognition they deserve. This Techpreneur, Nnenna is from Abia state Nigeria, she is the co-founder of The Free Software and Open Source Foundation for Africa which she also co-chairs. She is a former member of the board of the Open Source Initiative. 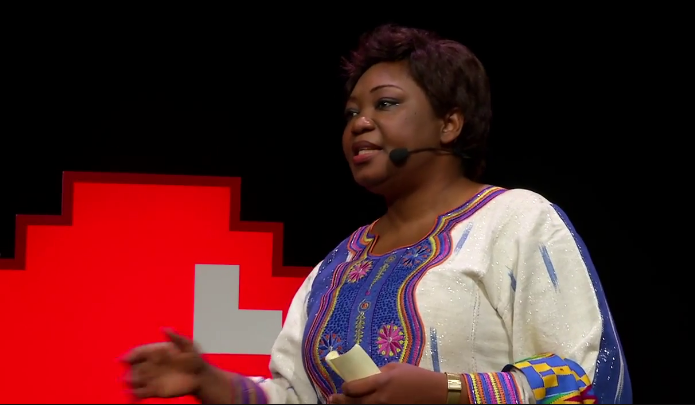 She co-founded The Africa Network of Information Society Actors, and the African Civil Society for the Information Society which she serves on. She is also a Vice President of the Digital solidarity fund. This powerful lady who have been very popular on social media is an advocate of affordable internet and information for Africa. I learnt she is also very good with words and lexicon as evident on her personal blog. This techpreneur from Cameroon is a lady to look out for in the Africa tech industry, no wonder she was listed amongst African techpreneur women to watchout for in article by forbes. She also features in the power 60 list by the Institute of Electrical and Electronic Engineers’ Women In Engineering(WIE). Rebecca founded AppsTech which is a worldwide provider of enterprise application solutions. She also doubles as the chairman of ActiveSpaces; a techHub and incubator based in cameroon. If you know Smile Telecoms, then you should know this powerful lady! A woman who spent over 13 years as the negotiator of the South African National Union of Mine Workers is someone who should be respected, we all know how the South African mining industry was and still filled with struggles. Irene who worked with Johnnic Holdings South Africa, a telecoms firm with the aim to emerge leader in the media, telecommunications and entertainment sectors. In a few years time she joined MTN Nigeria, and it was under her leadership of MTN that Nigeria was connected to the telecommunications provider as she was instrumental in obtaining one of the three available cellular licenses at the time. 7 years ago, precisely 2010 this powerful woman became the president of Nigeria's internet Registration Association (NiRA). NiRA is an agency that regulates and manages Nigeria’s country code Top Level Domain Name (ccTLD), dot ng. Before being appointed as NiRA boss, the dot ng domain name was not exactly an in thing in the Nigeria technology circle. Under her leadership, dot ng became popular and grew astronomically. By 2015, NiRA had recorded real growth and strategies of Mary Uduma like giving out 100,000 free dot ng domains to celebrate Nigeria’s Centenary anniversary are responsible for this laudable progress. She was also the brain behind giving out free 100,000 dot ng domain names. Conclusively, these women have proven beyond doubt that the tech industry isn't an all-male cliq anymore. Are there women you think should feature on this list? let us know and we could update it.